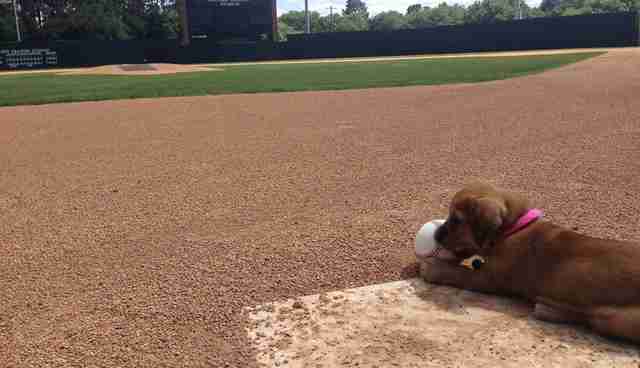 Not long ago, this adorable puppy named Daisy didn't have a friend in the world - but today, she has an entire sports team willing to go to bat for her. 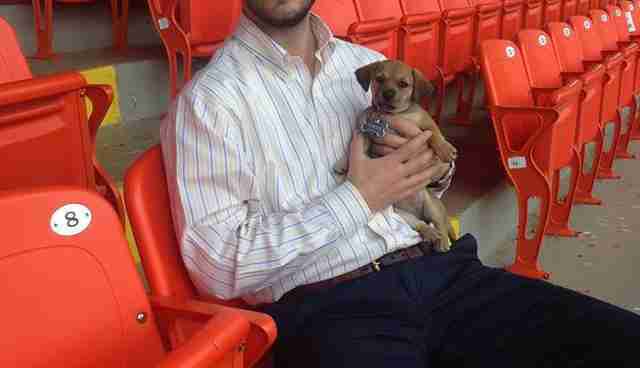 The 7-week-old pup was found crying and alone last month after being dumped in the parking lot of Grayson Stadium in Georgia, home of the amateur baseball team the Savannah Bananas. From those sad beginnings, however, something beautiful blossomed. Daisy was rescued by the team's president, Jared Orton, who not only got her the care that she needed, but immediately saw her potential as both a companion and a colleague. So, he adopted her into his family - and he got her a job on the staff. "She showed up on our doorstep. We immediately brought her in and gave her food and water, then took her to the vet for a checkup," Orton tells The Dodo. "It's not something we planned, but now we can't imagine things without her." Daisy now comes to work with Orton every day as the team's unofficial mascot. In that role, she's quickly becoming one of the stadium's most popular attractions. "People have been coming in just to see her," says Orton. "She already has so many fans." Daisy already has another job lined up for when she's fully grown. 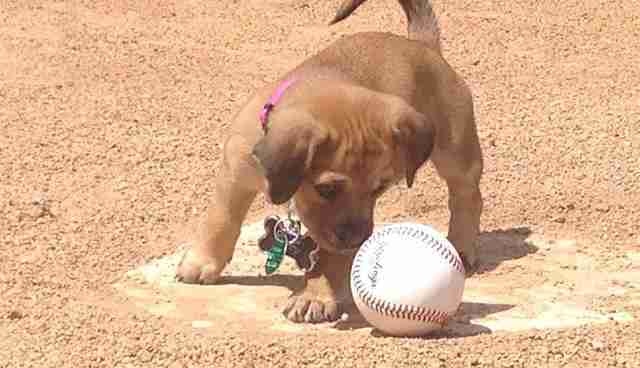 Orton plans to train her to be the Savannah Bananas' bat dog, retrieving equipment and delivering balls during games. "Daisy is having a blast."